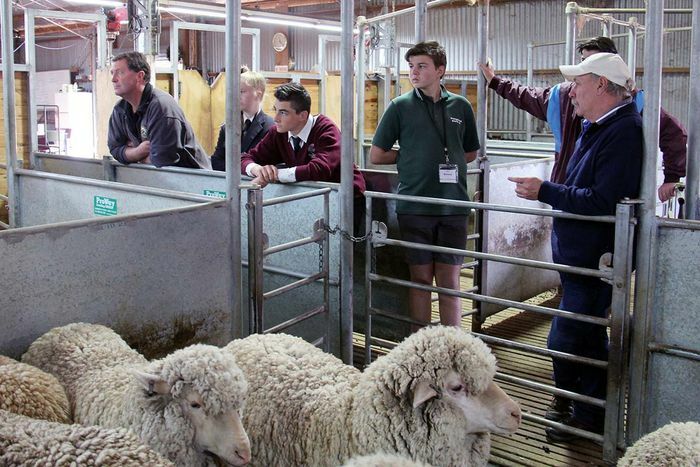 At the Dookie Food and Fibre Careers Day, Year 9 and 10 students from 15 schools participated in a selection from 16 workshops including hydroponics, drones, plant science, soil management, beef, dairy, sheep and wool, genetics, food science, veterinary technology and transport and farm equipment. 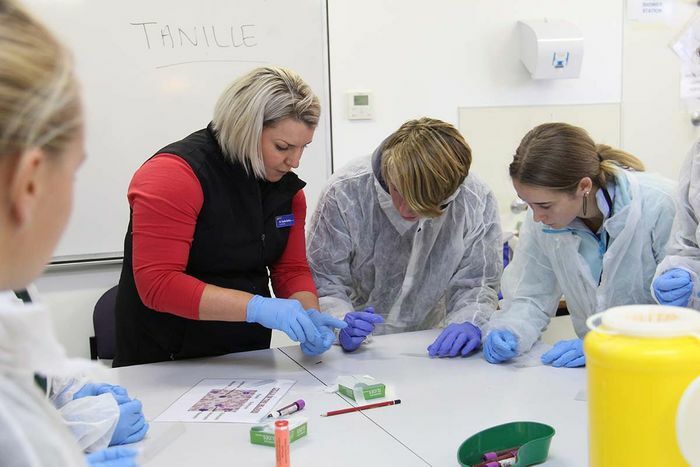 Tanille Bailey from GOTAFE shows students how to create bovine blood smear slides for analysis. Photo: Morgan Marx, GOTAFE. 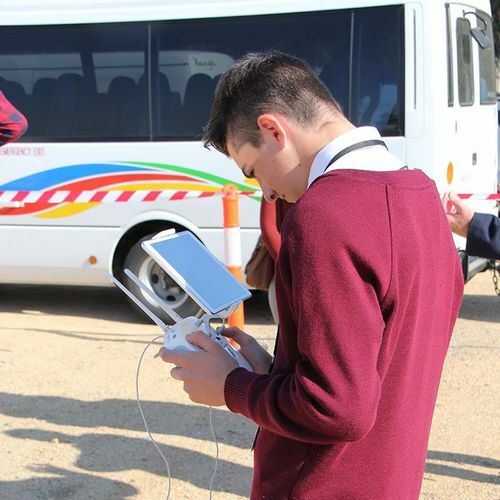 The students saw demonstrations by instructors from the Faculty and other local education providers, and learned of developments in the application of science and technology to agriculture, including drone monitoring of farms and thermal imaging for management of pregnant livestock. Students saw demonstrations of drones in action and were able to see through its cameras via the remote control monitor. Photo: Morgan Marx, GOTAFE. They were also able to perform a range of hands-on activities including lab analysis of blood smears, wool classing and cattle husbandry. 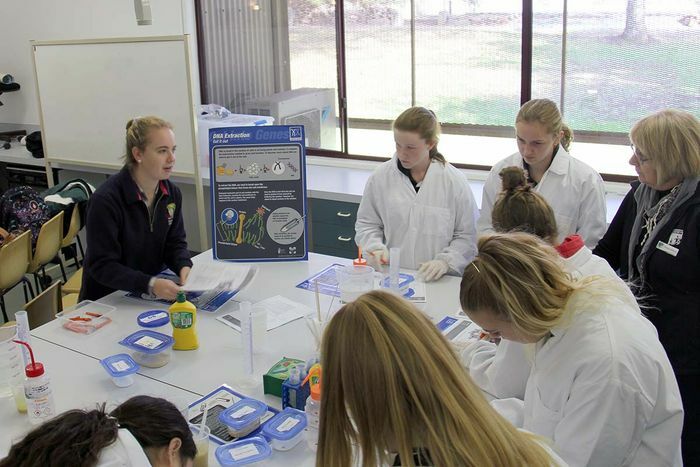 The University of Melbourne’s Dookie campus Director of Student Experience Karen Edwards told the Shepparton News the impact of science and technology on the careers many of these students will embark on in agriculture and related industries were a focus of the day. “You’re not out there doing manual labour. You’re very much working with technology, working on big business decisions, working with big data,” she said. 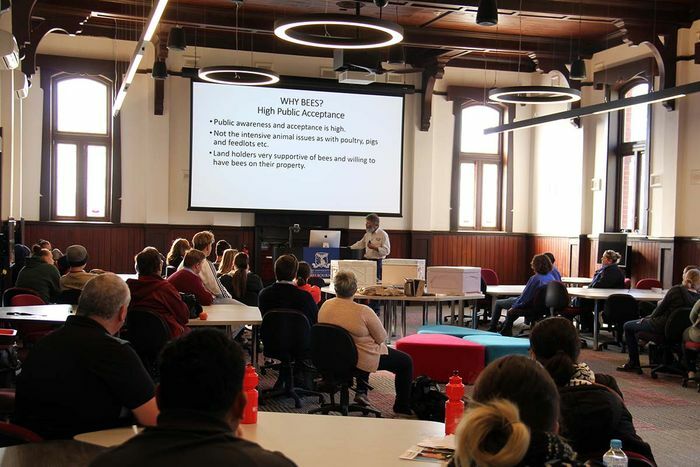 Higher education partners were the University of Melbourne and Charles Sturt University alongside vocational education and training (VET) providers including Goulburn Ovens and Wodonga TAFEs, with the support of several other local training providers, the Greater Shepparton City Council and the Goulburn Murray, Campaspe Cohuna and NE Tracks Local Learning and Employment Networks (LLENs). 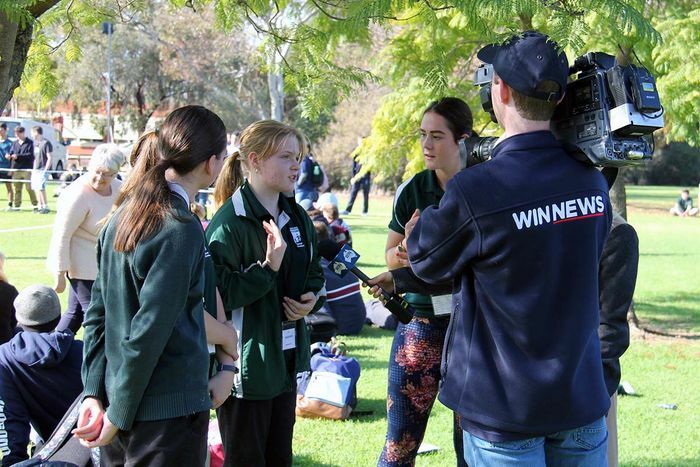 Read more at Shepparton News, or see television coverage from WIN News Shepparton and more images from the day below. Story by Stuart Winthrope, the University of Melbourne; photos by Morgan Marx, GOTAFE. 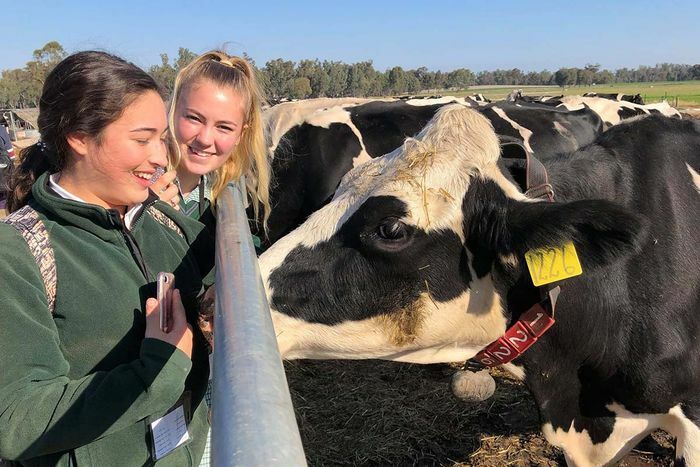 Banner image: Students from Cathedral College Wangaratta (right) came first in the Farmer Relay Challenge, and Notre Dame Shepparton (left) secured second place. Both teams won a Mystique quadcopter drone.